The preparations for this year’s Commission on Narcotic Drugs in March were fraught with discord. In the most recent session of the Commission on Narcotic Drugs—the lead policymaking body for drug control at the UN—governments from Latin America to Europe to Africa expressed frustration over the violence, mass incarceration, and health epidemics resulting from international drug laws. Though there is no question that proponents of the status quo are still many, a number of governments are calling for drug policies that respect human rights, promote public health, and reduce crime. “The costs of the drug war are not only economic, but also human, because people have been sacrificed in our actions to tackle the drug problem,” said the Colombian minister of justice, Gómez Mendez. The Mexican delegation argued that health policies should be prioritized over the criminalization of drug use and that a thorough review of international drug strategies is required. Ecuador expressed deep concerns about the failures of the current system, and Guatemala urged revision of drug control treaties. While Latin America is leading the calls for a debate on the international drug control system, many other governments are also supporting a thorough review of harsh, criminal justice–oriented approaches to drugs. For example, a group of countries including Sierra Leone and Namibia advocated for abolition of the death penalty for drug-related offenses. This brings fresh African voices to a coalition of nations that have expressed concern for human rights abuses in drug control. The preparations for this year’s Commission on Narcotic Drugs in March were fraught with discord as governments that favor harsh criminal justice policies have been trying to push back against historic cannabis reforms in the United States and Uruguay. The final statement emerging from the so-called high-level segment of the Commission was a weak compromise. As the International Drug Policy Consortium noted, some of the most innovative language that took account of new approaches, criticized extreme punishments like the death penalty, and acknowledged the opening of an international debate, was struck out from earlier drafts. Nevertheless, the debate itself was carried out for all to see. And the event was only a preview of what’s to come. 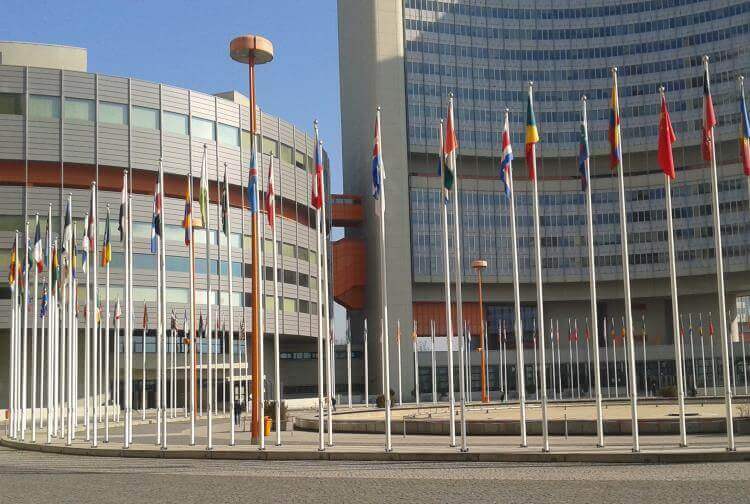 A broader debate on drug policy is due to take place at the UN General Assembly, the main policymaking body for the entire United Nations, in 2016. It is already being anticipated as a historic showdown on international drug policy. Leading up to the Assembly, the Open Society Foundations will continue efforts to further the debate by bringing civil society groups and governments together, calling on policymakers to enact change, and raising awareness of the issues. Article published on Open Society Foundations Global Drug Policy program website. Program Officer in OSF Global Drug Policy program in Budapest. Member of Political Critique, where she coordinated international projects and edited books dedicated to drug policy topic: Drug Policy. The Reader of Political Critique (2009), Drug Wars. News from the battlefield (2011). She graduated English philology at Catholic University in Lublin and social science at Warsaw University.